You have some rappers who simply rap and do nothing else. They know how to blend words that rhyme (cat, hat, mat) and for them music is a mere outlet to acquire fame and fortune. On the other hand, you have natural born hip hop artists who are more in sync with the creativity aspect of this form of artistry. For them, music is their first language. It is as vital to their everyday life as the air that they breathe. Ty Hill (formally known as Ty Gudda) is that natural born hip hop artist. The music that he creates is ingenious and filled with passion which seems to captivate everyone’s ear and heart once they get a whiff of what he has to offer. Far beyond his years, this Baltimore native is sure to go down in history as one of the greatest rappers alive! From “In da streets” to “Industries” Ty Hill’s life story is one that many can relate to. Born as Tyran Hill in the violent plagued streets of Baltimore City where murder is a harsh reality and survival isn’t so common, Ty Hill utilized the pain from his city as a platform to showcase his skills at an early age. At age 7 he was using words to channel and express his inner feelings but mostly to escape the cruel reality of his surroundings which he called “Release Therapy.” One of Ty’s greatest experiences occurred when his grandmother introduced him to poetic expressions which opened many doors for him to learn how to manipulate words. Unlike the average rapper who only listens to hip hop, Ty Hill had profound respect for all genres of music including Alternative, Pop, and Country Western. By age 11, he was already penning R&B and rap song which he performed for anyone who cared to listen. Inside of his voice you could hear the pent up anger, disappointment, genuineness, drive, compassion and his very well awareness of the streets that he was compelled to endure. Being a visionary allowed him to use story telling as a way to appeal to the public. His words are so vivid to the point that some have said if you close your eyes you can actually see the picture he’s painting with his pen. Being just another hustler was not an option for Ty Hill. While it seemed the odds were against him during the times he had to turn to the streets as a mean of survival, Ty knew his calling was worth much more. Through the trials, tribulation and setbacks in his life like the loss of close friends and loved ones, jail, and surviving statistics of the murder rate in his city, he still managed to make it to the studio by age 19 to complete his first album which he titled “Against All Odds.” Out the trunk of his Toyota Camry, Ty Hill sold over 900 copies of his CD by hand. Getting the taste of success, Ty shortly released his second CD titled “Twenty 2 Life” which significant title came from him being only 20 years old at the time. Once again, he went on a grind and this time around he moved over 1600 copies by himself. In the next two years Ty decided that he would take his music career to where he needed it to be. 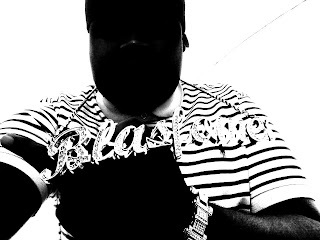 In 2004 he took the big step of starting his own record label, “Blasfome” and elevated his career to higher levels when he transformed from a mere artist to being a studio engineer; recording most of his songs himself and releasing two mix CDs with over 26 songs on each. 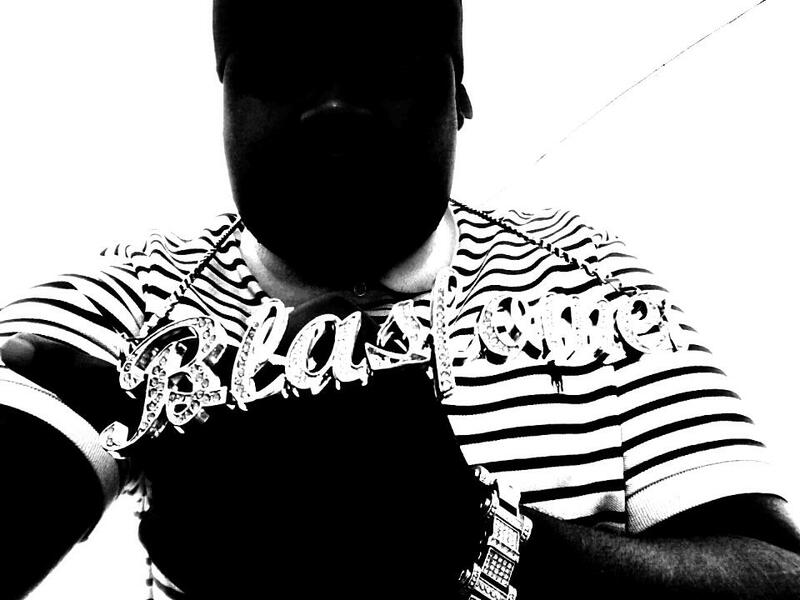 The first mix CD that he dropped was titled “Blasfome Mix tape Vol#1” and the second was titled “In da streets to Industries” which together both sold over 4 thousand copies independently. In December of 2008 Ty Hill released another mix tape titled "Streetz is Listening" which moved 7000 units and counting. Ty Hill’s last 4 CDs were all mixed and mastered by himself. It didn’t take long for this young prodigy to create a buzz in the same harsh streets that could have very well eaten him alive if it wasn’t for his drive, determination, and dedication to his music. By this time he upgraded from recording his own projects to doing recording and mix downs for many other local artists such as Lil hen, C-Da Kid, Joe Ghost and a host of others. 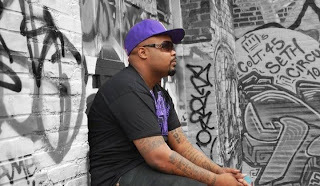 Since the release of Ty Hill’s last mix CD he has recorded well over 500 songs causing him to win numerous awards from the Spitters Club Freestyle Champ to 92Q (A popular urban radio station in Baltimore) Freestyle Championship where he was retired after his 6th consecutive wins. He also received B.E.T. COM song of the week in 2006. Ty Hill has performed all over the city in almost every club in his hometown like Latin Palace, The 5 Seasons, The Paradox, Club 1, Club Taste, Bens Night Club, The Upper Deck, The Irish Pub, Club Nastalgen, The Sonar, The Turntable Club, Sanomas Bar, The Blackhole, and The Bedrock, just to name a few. Likewise he’s done many shows outside of Baltimore from D.C., Philadelphia, all the way to Atlanta. 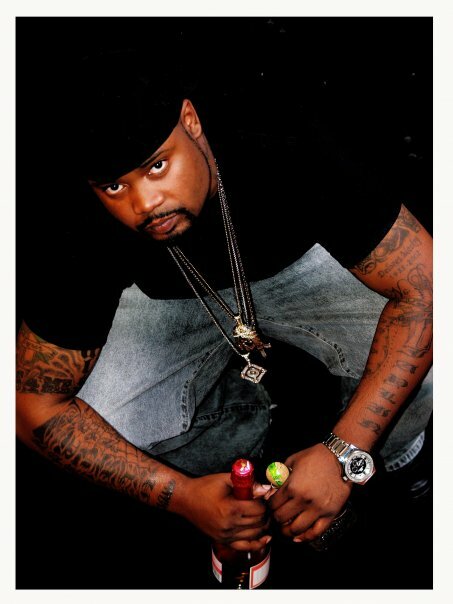 Ty Hill is featured on a host of other artist’s songs and is frequently called upon by his peers as a role model in the entertainment industry. He’s featured on countless hip hop DVDs and has numerous interviews conducted on him by local access programmers and radio stations like 88.9 (Morgan State University). In addition to music, Ty Hill has also stepped into the film production and acting arena, with a very popular series of short films that he released on youtube.com which generated thousands of viewers. Ty Hill furthermore added published author to his list of accomplishments when he was featured in the book of poetry titled, “Between Voices.” After turning down a college scholarship in 2003 to BOWIE STATE, Ty Hill stated “Words and lyrics has always been my life. I am music and music has been in me forever; Can’t no textbook ever teach me that!” In 2012, he decided to take it back to the foundation of his career by changing his name from Ty Gudda to Ty Hill after a host of hip hop artists surfaced using the name “Gudda.” Ty felt the need to set himself apart from everyone else which is something that he’s been doing all his life. 3375 Tell everybody your name and whatarea you represent? Ty Hill I go by Ty Hill now but most people know me as Ty Gudda. I recently changed my name because I’venoticed an outburst of rap artists using the name Gudda and I wanted to setmyself apart from everyone else so I decided to shorten my real name which isTyran Hill to Ty Hill. Plus I believe thename Ty Hill is more marketable than Ty Gudda. I was born and raised in East Baltimore but I represent the entire 410!!! 3375 How long have you been doing music andwhat made you get into music? Ty Hill I watched my grandmother write poetry as a toddler so you can say that Ipretty much was introduced to the craft of making words rhyme and make sensefrom her at a very young age. As amatter of fact I wrote my first poem when I was 7 years old. I became interested in music because it was away to get my feeling and thoughts out there. Ty Hill I would describe my style as VIVID!!! My best attribute is I’m able to paintpictures with words and most artists don’t possess that skill. Most just rap butI create the visuals for my words. 3375 Tell us your greatest experience thusfar as a music artist and why? Ty Hill One of the greatest experiences I’ve had so far as a music artist was when Iwent to Quad Studio for a meeting with Universal Records. Not just because theywere offering a deal but because some building are just that important in theworld of hip hop and Quad is one of those buildings. I meanTupac was shot there and a host of other artist has recorded many hits there.Growing up I’ve seen so many pictures and videos of this studio in the heart ofNew York, so it felt great to be therein person and feel like I was touching a part of history. 3375 What is the biggest challenge youface being an artist? 3375 Who would you like to collaboratewith in the music industry and why? Ty Hill Tupac or Michael Jackson’s hologram … LOL!!! Naw if I could collaborate with anyone “alive” it would have to beJay-z; not because he’s one of the biggest stars of our time. My reasons stem from the old Jay who got methrough hard times with songs like “You must love me” or “Lucky me” as well asthe Jay-Z I saw on the movie “Streets is Watching” as a youngin. I admire the Jay who I mimicked my storytellingtechnique of rhyming from. That’s why mymusic sounds more like a script then a song. 3375 So how do you feel you rank againsttop music talents today? And why? Ty Hill To be totally honest I don’t focus my attention on any other talents outthere but myself. I mean I know theyexist but no man can win a race while watching the other runners in the lanesnext to him. I try to focus on Ty Hill’s music only. I’m mastering my lane to obtain success. I don’t believe it’s a competition of whothinks they’re the best. I just know I makeeverlasting quality music that everyone can relate to on some level. So to answer this question honestly, I rankmyself at the very top of the list amongst the greatest! 3375 What are you working on now, and whencan fans expect to hear more from you? Ty Hill I am currently waiting on the release of my newest CD titled “Urban Cinema” whichis expected to drop the 1st of July 2012. It’s already completed. We’re just ironing out the last kinks before theactual release date. Also you can expect to see some more videos from me. We’re shooting the first one for my single “MyCity” this coming Sunday June 17 so be on the lookout for that. 3375 Give readers one tip about pursuingtheir dreams? Ty Hill The greatest tip I was ever given is also the exact one I have tatted on mychest in bold letters…. “NEVER GIVE UP!” Those three words are simple yet powerful. 3375 So what do you want to accomplish asan artist overall? Ty Hill Legacy and understanding! I want to be understood for who I am and leavea legacy so that even when I’m gone people can still go back and hear how I feltin my own words. Before it’s over I wantto be considered one of the legends in hip hop. 3375 If music never existed, what do youthink you would be doing? Ty Hill Since my passion is in the field of entertainment as a whole, if music neverexisted I would be focusing on being an actor because that’s another dream ofmine. I actually produced, directed, andstared in some short films that I released on youtube.com titled, “Dirty Money”which generated thousands of viewers. Ty Hill My 8 year old son Jaylin is my biggest inspiration; he’s my everything. My influence list can go on for days so I’ll giveyou the short version… LOL! I’m influenced by my past as well as my future hopesand dreams. I’m influenced by my family,my struggle, my pain, my setbacks and my accomplishments. Most importantly, I’m influenced by myGOD. Basically I’m influenced byeverything this world has given and taken away from me! 3375 What do you think about the “hip hop”music in the world right now? Ty Hill I honestly don’t hear too much hip hop anymore; I hear rappers rapping aboutshit that I could care less about. Calling what they do “hip hop” would be a stretch. I believeright now we have a lot of busy music you know. Just like your substitute teacher use to give you busy work when your realteacher was absent just to hold your attention, I think there’s a lot of “busymusic” going on right now. I can’t say thatI’m a fan of too many. 3375 What quote do you feel bestrepresents you? 3375 What music do you have playing in yoursound system right now? 3375 How can business heads and fanscontact you in the future? Ty Hill Although I go by Ty Hill now, you can still search Ty Gudda anywhere on theInternet and you’ll be able to find a lot of videos, music, and social networksthat you can reach me on. Also my new website will be up next week so you can stayupdated with me there @ WWW.TYHILLMUSIC.COM. Likewise, I can be reached on Facebook @ WWW.FACEBOOK/TYGUDDA. Ty Hill To avoid confusion of missing people, I just want to say thank you toeveryone who has ever supported me as well as everyone who may support me inthe future. Y’all are the force that keeps me grinding as hard as I do and I’llnever let y’all down. Last but not least shout out to the greatest teams ever, “BLASFOMEEntertainment.” Y’all are the best! !